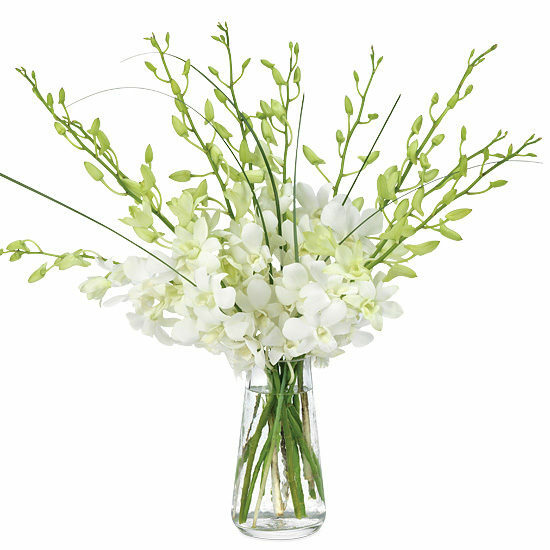 A magnificent look to add a bit of natural elegance to any room of the home, luxurious white dendrobiums are mixed with wisps of playful bear grass in a bouquet sure to spark conversation. 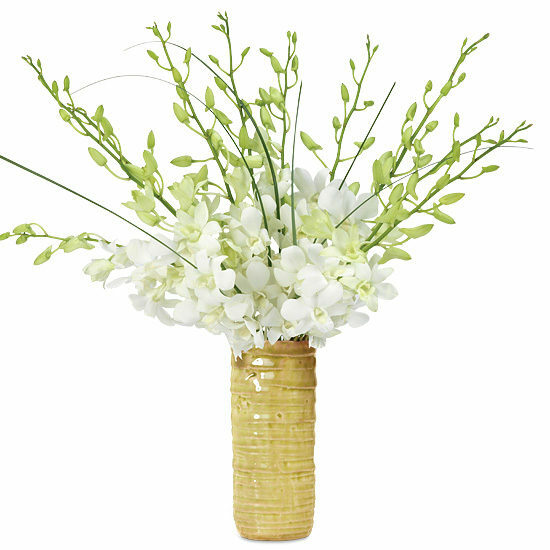 Placed in our textured ceramic vase glazed a glossy verdant green, the lengthy stems fan out in a sensational show of silky white petals. 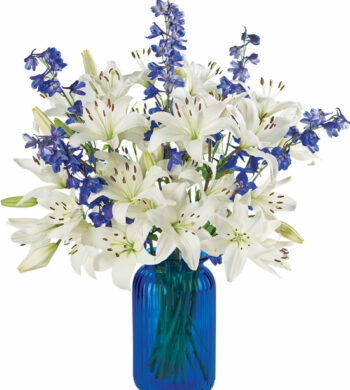 This bouquet has an exceptionally long vase life and makes a fantastic gift or marvelous, mood-setting centerpiece for an autumn party.